Pullman Tokyo Tamachi is located in Tamachi, a town which features canals and is one of the city's leading business districts. It provides direct access to Tamachi Railway Station via an internal walkway on level 2. The lobby is decorated by the harmony of natural materials and colourful tones inspired by Japanese Kabuki. The hotel has 143 stylish guest rooms, a live show kitchen, executive lounge and rooftop bar. Perfect for business and leisure travellers. Pullman Tokyo Tamachi is located in Tamachi, a town which features canals and is one of the city's leading business districts. It provides direct access to Tamachi Railway Station via an internal walkway on level 2. The hotel provides direct access to Tamachi Railway Station via a walkway on level 2. Enjoy easy access from Haneda Airport. Take the Keikyu Airport Express to Mita Station. The hotel is located in Tamachi, a town which features canals. 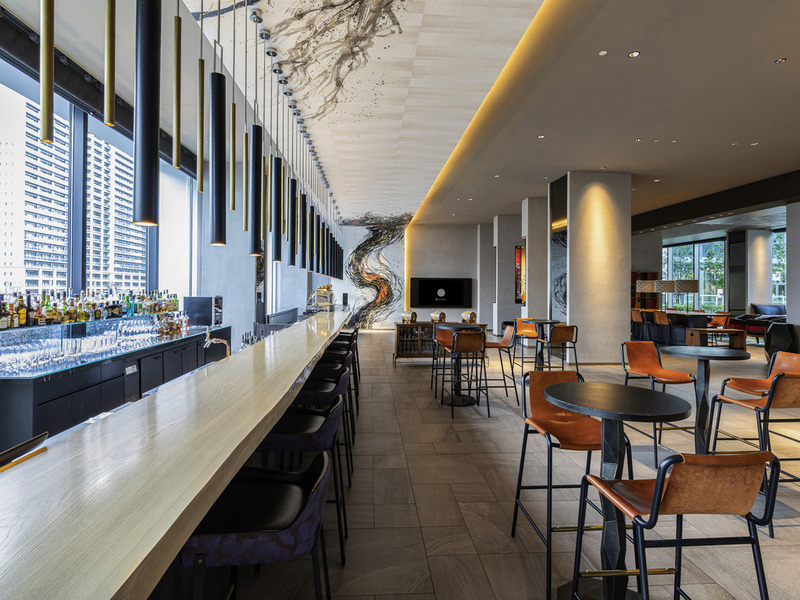 The lobby combines natural materials and colourful tones inspired by Japanese Kabuki. The rooftop bar is en excellent place to enjoy the views of Tokyo by night. Pullman Tokyo Tamachi offers a new type of upmarket hospitality, combining contemporary design with Japanese style. Perfect for business and leisure travellers. Chill out at our cozy lobby lounge. Enjoy light bites and fine drinks. الفندق جديد ويصنف من فئة الخمسة نجوم وهو قريب من محطة القطار (تماشي) .. ومن هذه المحطة تستطيع أن تذهب إلى المنطقة الحيوية وأشهر تقاطع في طوكيو (شيبويا) .. الغرف بشكل عام واسعة وبداخلها توجد مغسلة اليدين والثلاجة والتلفزيون المسطح .. يوجد أيضاً حمام بباب مستقل وأيضاً دوش بباب مستقل .. الأفطار جيد جداً والعاملين بالفندق عموماً ودودين جداً .. يتم توفير جميع المنظفات والأدوات الأخرى وتغيير الفرش بشكل يومي .. يطل على محطة القطار والمباني المجاورة له .. أنصح به لوقوعه في منطقة هادئة.